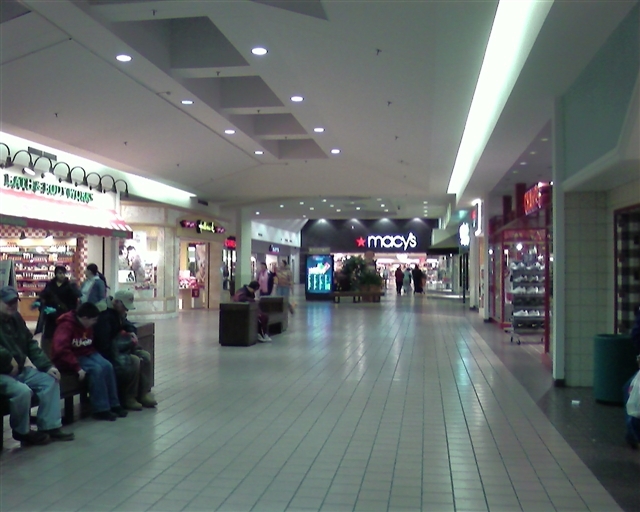 The western flank of the Capital Region of New York is home to two enclosed malls, and originally there was three. Of these, one is the tiny–and not really functional–Amsterdam Mall in Amsterdam, in an area that resides somewhat outside of the metropolitan area. 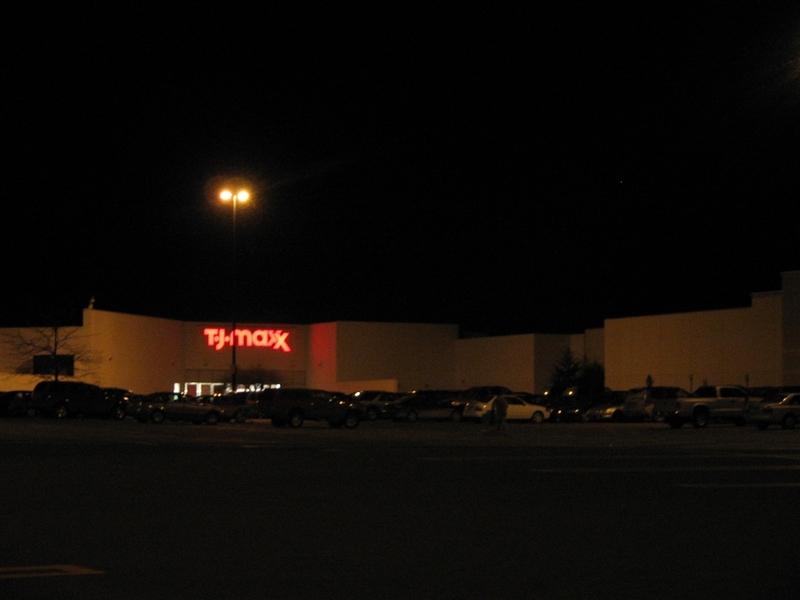 There were two other malls serving the Schenectady area: the Mohawk Mall, an atrociously frightening grey structure that served the city’s east side and which was demolished in 2000 or 2001, and Rotterdam Square, which sits just to the west of downtown, near the city’s massive GE Plant. Rotterdam Square is a relatively typical mid-sized, mid-tier shopping mall, although I’ve always felt it was pretty neat. 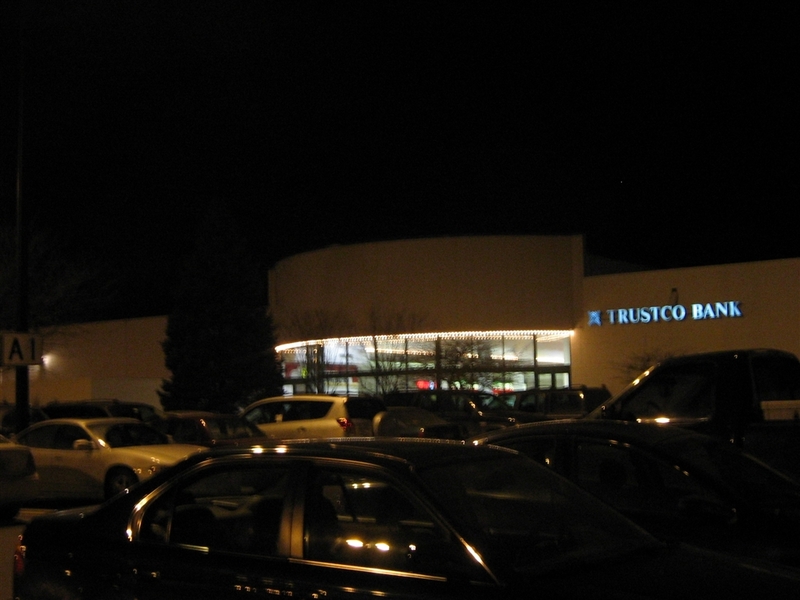 Like most of the malls around Albany, it has a massive (nearly Olympic-sized!) 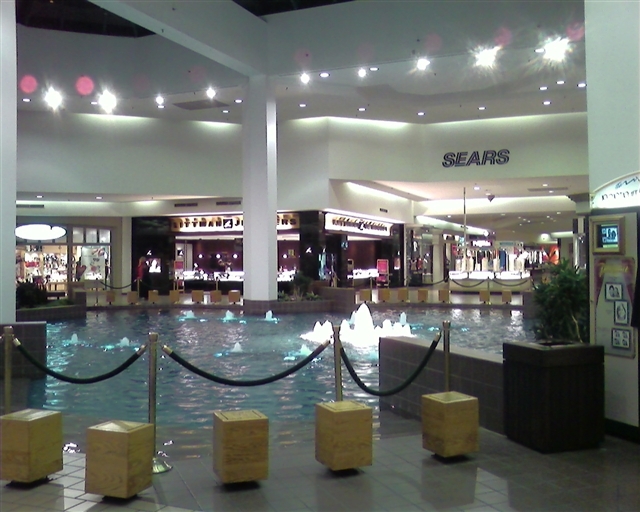 swimming pool, it has retained lots of in-mall planters, and it has a Sears with a red logo–a true rarity. 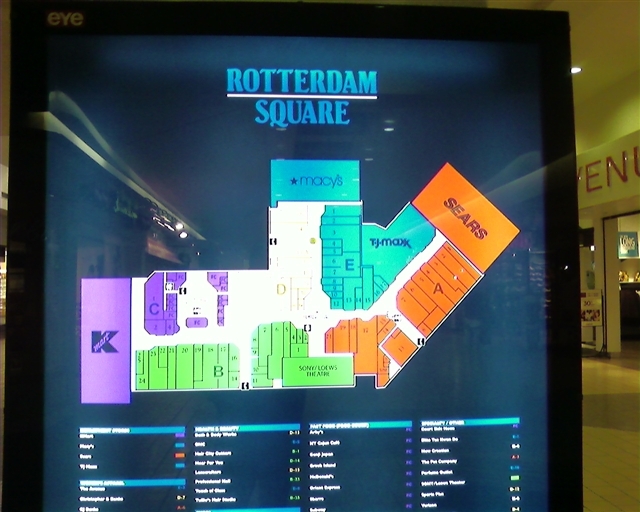 The 900,000 sqft Rotterdam Square is owned by the Macerich Company, the same management firm responsible for Wilton Mall, and sports Sears, TJMaxx, Sony-Loew’s Cinemas, Macy’s, and Kmart as anchors. From what I’ve been able to glean, this roster has been mostly static since the mall’s opening (at a date I can’t quite pin down, but I would estimate at the early to mid 1980s), with one notable exception. 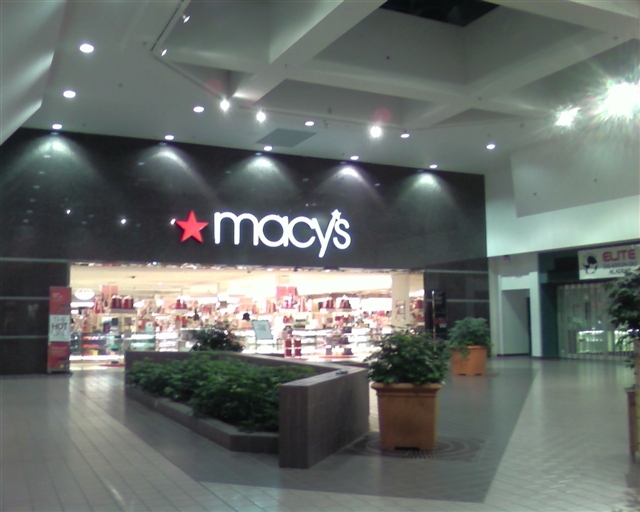 The current Macy’s space had been a Filene’s until the May-Federated merger, and prior to 1995 was a Hess’s department store. 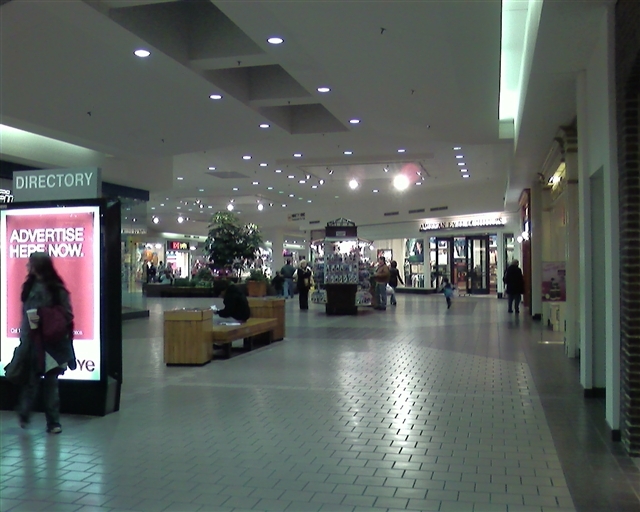 Like Wilton Mall, Rotterdam Square seems to mostly get by due to its relative isolation from the region’s two powerhouse malls: Crossgates Mall and Colonie Center. Was this mall originally owned by Wilmorite? I ask that because its interior sort of looks like the Danbury Fair Mall and the Freehold Raceway mall. 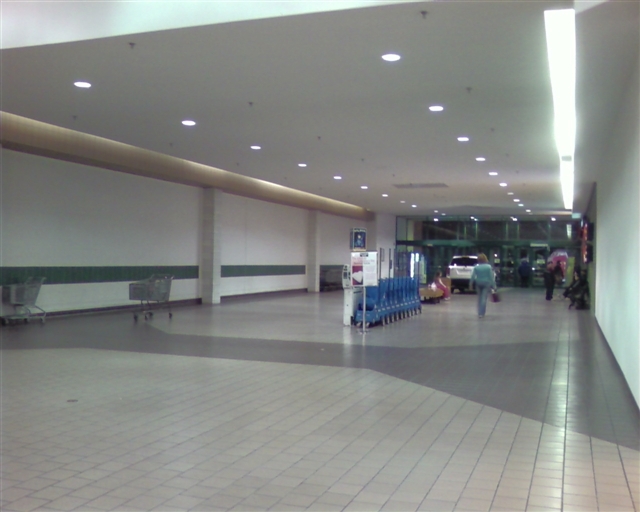 It seems somewhat rare for a Kmart to actually have an entrance that opens up into the mall. Yes, this was originally a Wilmorite property, as was the mentioned Wilton Mall. Enormous center court fountain? Brown-tile lined planters? You know it had to be a Wilmorite now Macerich! Which probably means all of the above will soon be scrapped for a radical renovation plan. This is interesting to bring up that this was in fact a Wilmorite. Appearently, it had a unique foodcourt carousel, like many other Wilmorite-builts but like it’s current ownership, all of their past is being turned upsidedown and it was removed just recently. K-Mart seems a little outer realm here at this mall… well being it’s upstate, kind of says it by itself. The ceilings look like they saw the face of a harsh sterilization of the 2000s. Nice shot of the Macy’s court area too. It’s also kind of a treat you happened to hit this mall at dark; perfect time to see the red Sears logo. Those are rare, but there’s another known red logo’d Sears; over at the Great Northern Mall in Clay. Do we know when the mall was built? I’d say early-to-mid 1980’s, for the conception and likeness of other of their malls built around this time. Found the opening date: 1980. Scroll down until you see “Rotterdam Square”. By the way, was there ever something else where TJ Maxx is? It looks like it gobbled up a bunch of smaller stores. Also, note that the mall has a cemetery. Check Wikipedia’s entry. Early 1980s? That explains the chunky transition red logo for Sears. They finally phased their red thin all-caps logo by ’84 so this could’ve been a rare conceptual one segwaying into the widely known blue version presented in the 80s. I just realized this mall most likely benefitted greatly when the Sears-K merger occurred. By ‘thin-lettered’ logo, I’ll take you mean the old ‘Times Roman’ (not the same font, but it’s close enough) logo we always used to see prior to 1984. From what I remember, Sears debuted the new logo on their 1984 Wish Book. That was the first time I seen it. Thing is, older stores never really updated their sign package until starting in 1995-1996. Before then, in the late 1980s/early 1990s, you could clearly tell which stores were outdated and which ones were built from 1985 onwards. For my neck of the woods, these signs were not red…must have been a rare color. They were blue…at least for the mall interior entrances to the stores. 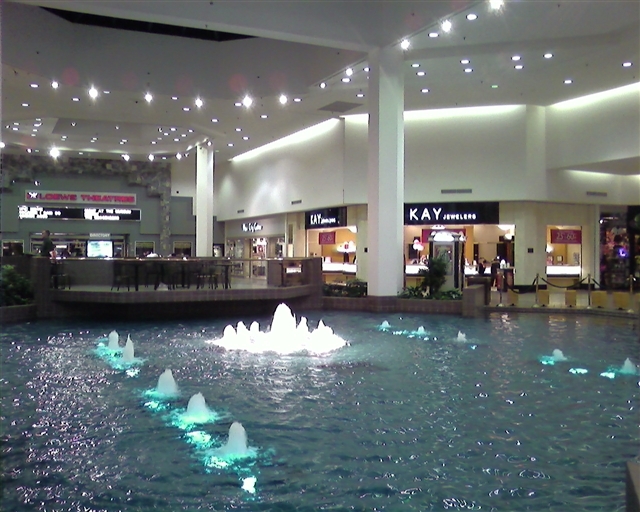 The pic of that fountain just reminds me how much I miss seeing them in malls. 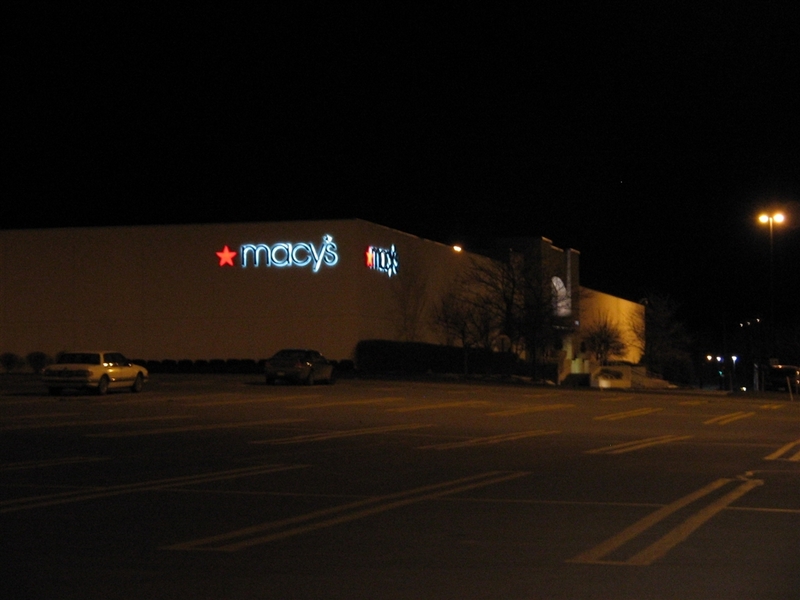 A K-mart anchoring a mall in the New England region is rare. Actually, Wilmorite opened up Rotterdam Square in 1988, same year as Great Northern, so that would explain both Sears stores having the red logo like that. It’s a shame the carousel was removed. Also, the TJMaxx store indeed took up smaller stores, as well as a mall hallway/entrance. Yes, I was reffering to the classic thin red logo used widely in the 70s and early 80s. 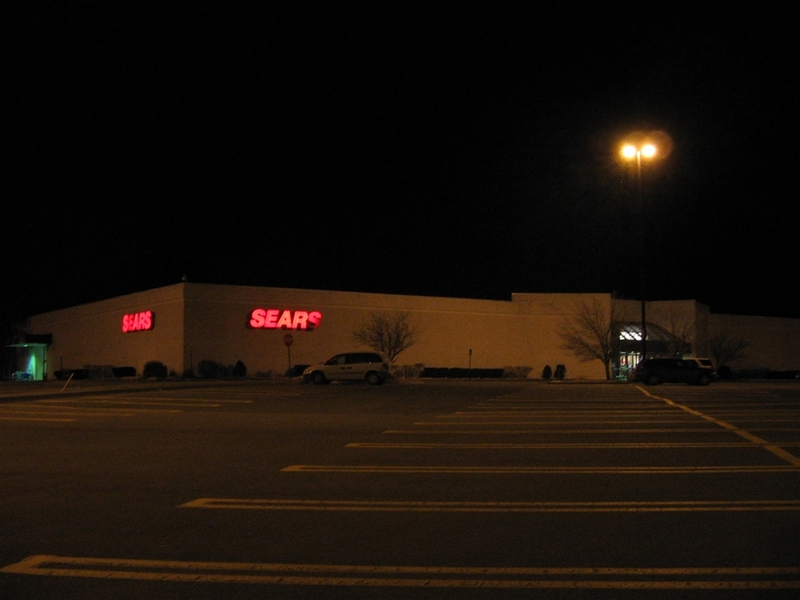 I also remember last seeing it on the Sears at Corbins Corner in West Hartford, CT which they finally took down sometime in the mid-90’s replacing it for 1984-debuted one. That logo still dons itself on an appliance center in West Haven, CT. The chunky all-caps logo which debuted in 1984 appears to be one of Sears longest used logos and was recently phased for a lowercased version today as we all know. I don’t see most stores getting the lowercased version anytime soon, so those, albeit their newest logo, is rare as well as far as channel signage goes. I’ll surmise the thicker red version was a short-lived prototype as is the equally rare dominate white logo which appears to have been used in the early 1990’s. The ’84 Sears logo came in all sorts of colors at first, usually to match the mall’s color scheme, and occasionally to match the architecture of the store. Sears didn’t standardize the colors until they did the “softer side” and even then there are some interesting relics that weren’t changed. I was just at a Sears in Christiansburg, Virginia, opened in 1988, that never had its brown exterior signs changed or even a re-tiling at the entrance, much less changing out the old white mall sign for a new blue one. Sears logo looks actually looks good in red! I’m getting tired of the blue already,red for Sears! 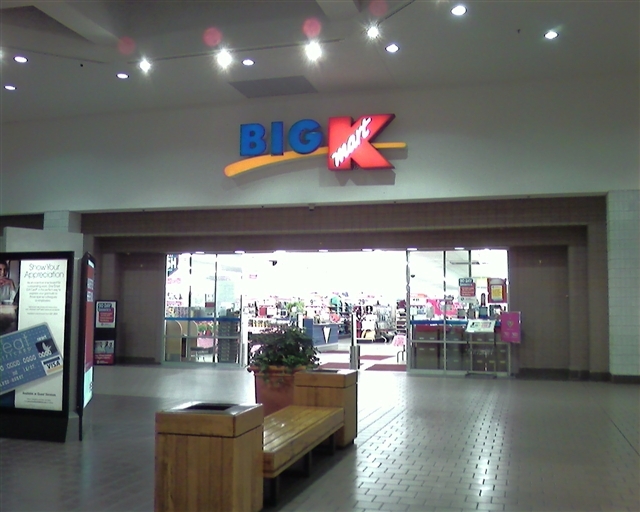 is a Big Kmart, however the website reads that it is a regular Kmart. 87K sf and it’s titled as a regular K-Mart. So, did the Super Kmart become a regular Kmart somehow? @Jonah N., It wasn’t a Super Kmart – there were only a few of those in NY and the closest to here were Amsterdam and Queensbury. 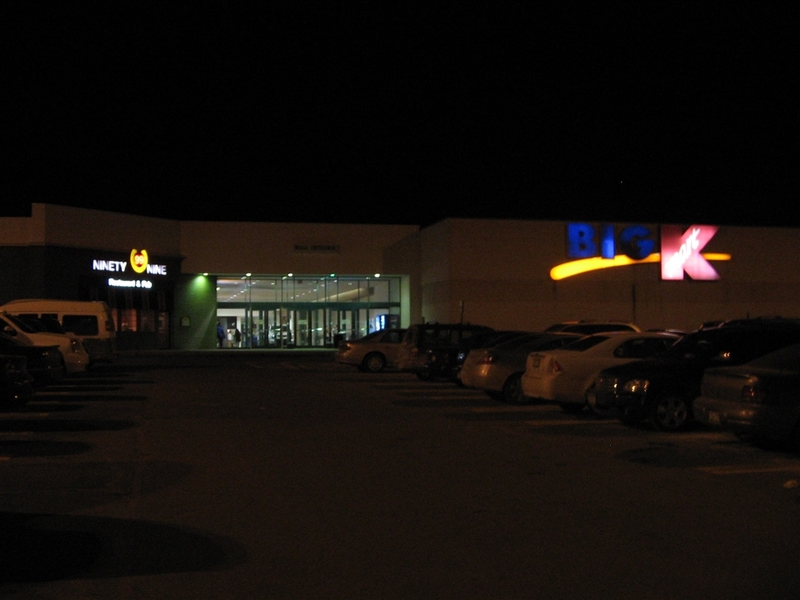 The sign in the picture says Big Kmart, which is just another name for a “regular” Kmart – they added more “Pantry” items at one point to most of the existing stores and decided to add the Big signage as well. Interestingly enough (as this is an unusual mall attached Kmart) within the past year (2013-2014) all of the Kmart stores in the greater Albany region have closed (Albany, Latham, Clifton Park, East Greenbush) except… this one. (OK, there is one in Greenwich, outside of Saratoga and the Queensbury Super Kmart which is no longer Super, but both of those are on the edge of the region). This mall wasn’t built until 1987 or 1988. 1. the mall would be built on or near an aquifer that supplies much of the region’s drinking water. 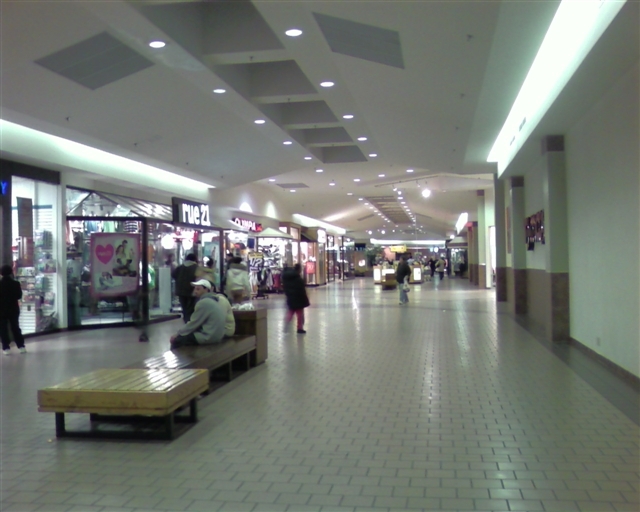 It was feared that the mall would damage or pollute the aquifer. 2. millions of federal and state dollars were being spent (successfully, for a time) to lure merchants to Canal Square in downtown Schenectady, which had suffered severely since Mohawk Mall was opened in 1970. It was feared that a second mall, in Rotterdam near downtown Schenectady, would doom downtown Schenectady as a viable retail destination. Wilmorite fought legal battles for years, well into the 1980s and long past the planned opening date, before construction finally began. I remember the day when The Rotterdam Square Mall opened in1988, 21 years ago. Before the stores opened in that mall, it looked like a museum , showing old photos of Schenectady. There were balloons everywhere. When he mall opened in 1988, it had three anchor stores (Sears, Hess’s, and K-Mart), Today it has four anchor stores (Sears, Macy’s TJ, Maxx, and K-Mart). Now, there are some stores that were in that mall since it opened, had moved, or gone out of business. With that, I don’t want to see Rotterdam Square Mall end up like another Mohawk Mall, which had no stores at all. like it did years go, before it was torn down. (I don’t want that to happen at Roterdam Square Mall). Now Rotterdam Square Mall is beginning to be like another Mohawk Mall, because of some of the stores gone. Borders books is now going out of business, which puts that mall in an even more difficult situation. When that mall opened in 1988, there were balloons everywhere, and old photographs of Schenectady and Rotterdam hanging where the store would be. I remember the carousel near the food court, which played the circus-style music. I rode on it at least a few times. I like shopping at that mall. I would be disapointed when a store I like to shop at goes out of business at that mall. I take a bus there. 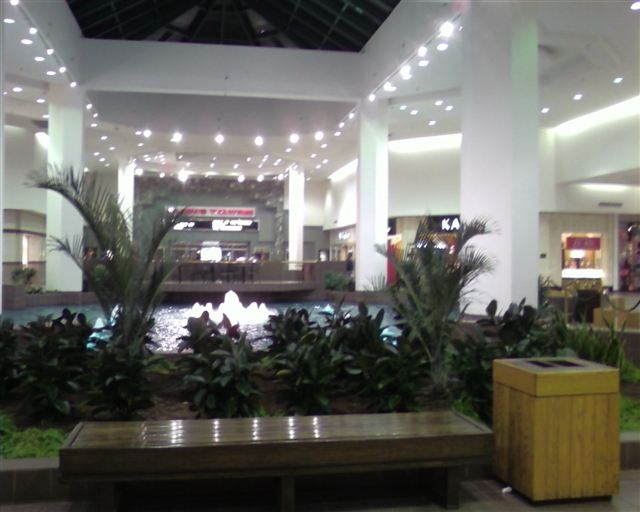 Years ago at that, mall, thae fountain, in the center of that mall,made a loud noise, now it is quiete. When I remembered when this mall opened, there were balloons, and old photos of Schenectady and Rotterdam on the stores that weren’t opened yet. I remembered the carousel at the food court, that played the circus-style music, like as if in an carnival or an amusement park. I do remember riding on it about three times. I like the mall. I don’t want it to be like another Mohawk Mall, with some stores that were there since it opened, are now going out of business, or merged with other stores. I don’t like to see RSM ending up like a ghost mall, like what happened with Mohawk Mall. I do also remember the fountain in the center of the mall, it was so loud it was deafening, that you could not hear what someone says to you when speaking to him or her, or you needed earplugs. Now since it is quieter, you can speak to that person. I can remember the jingle for Rotterdam Square Mall, when they advertise it on TV or Radio that went something like this: “Will Meet You There, at Rotterdam Square, we’ll make the world of shopping more exiting,” and at the end it woulld say, ” We’ll Meet you there, at Rotterdam Square.” which was sung by a group of people. With stores leaving the mall, that jingle may no nonger be used. I worked at Sears when it moved from Erie Blvd. in Schenectady to it’s current location in Rotterdam Square. There was an 50’s themed restaurant with an old gas pump out front. It was called Stash and Stella’s or something like that. The food court had a Taco Bell, Mc D’s, SubWay, Arby’s, Hot Dog Charlie’s, and many more. Now the food court is almost a ghost town. The addition of the 99 Restaurant a few years back helped bring back the mall for a while but it is slowly slipping away since the economy started to tank. I saw mention above about the battle over building it over the aquifer. Funny how the parking lot sinks in various areas each year and it quietly gets fixed, lol. @Scott Heller, http://articles.baltimoresun.com/1991-04-14/news/9113003851_1_stella-stash-otoole – This article is about the Stash & Stella’s in Marley Station mall in the Baltimore (MD) area, but it gives details about the company (O’Toole’s restaurants) that ran them, and says they had 9 restaurants at that time (1991), with one in TN, the one in MD and the rest in NY State, so probably including the one you mentioned. And also is there some kind of link between that O’Toole’s company and the current O’Toole’s on Central Ave and in Queensbury ?? Sadly, this mall is beginning to downhill. In the past year, Express, Friendly’s, Borders Express, and Hot Topic have closed. The Gap store was converted to an outlet. There really have not been any new major chains that have opened in the last few years. When AMC bought out Loews, they did not want the six screen (very small by today’s standards) cinema in the mall. It is now an independently-owned theater. Many stores that are there, especially the Champs Sports, are in 1980s mode and look like they are waiting for their lease to run out. It is sad to see this place start to go under as it has a lot of potential-especially in the western suburbs of the Capital Region. I went here a few months ago after reading this article. I went in the kmart wing. 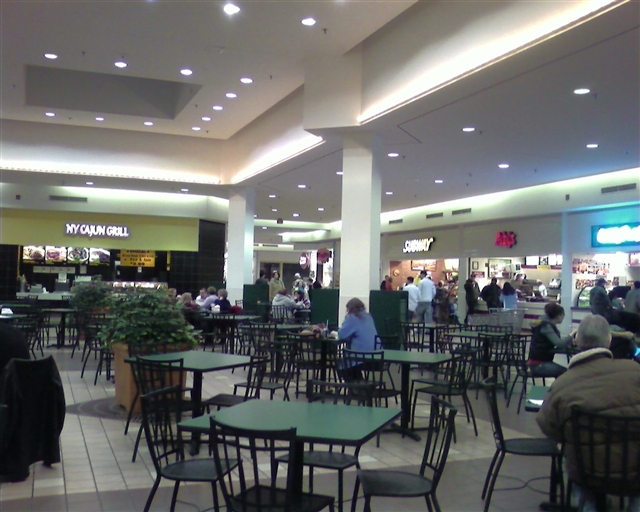 I was impressed how nice it was, but once you get to the food court the mall gets darker. Empty and store fronts all over the place. About 4 choices for lunch. Bounce houses instead of a carousel, just like at Wilton. why remove the carousel, a symbol of the glory days of malls? There is a very large and nice fye. Not quite as nice as the massive one that used to be at colonie center (nothing ever will be) but one of the best I’ve seen. I saw the fountain ahead and got my hopes up again. wrong. They don’t even bother to turn it on anymore. At least the fountain (exact same design) at Wilton is on a dribble. To the right – movie theater, deserted. Surprisingly not a regal which has taken over this region. To the left is macy’s wing – also deserted. A few stores such as game stop but a bunch if empty ones. Finally I headed toward TJ maxx and Sears. Empty storefront after empty storefront. Most of which they didn’t bother to take down the store logo, which is a definite no-no as it just looks ugly. I went outside to snap a pic of the red Sears logo and left. I then remembered I had parked on the opposite end of the mall, so I decided to tour the outside. Very bland except for the outermost entrance to macy’s. Nice landscaping and bushes. What malls need to do nowadays is not only make the inside storefronts look appealing, but the outside as well. Rotterdam should take a page from all the remodeling Wilton is doing. Brighten it up and make the stores more attractive, and please turn the fountain back on! They’ve put a Sbarro in the vacant side of the food court, but Arby’s (and Subway?) are gone just like at Wilton. They are filling some vacancies in the Sears wing, primarily by adding (arguably) a new anchor – Shoe Dept. Encore, with an outside entrance. Not sure about that entrance, it’s behind the mall, no one really goes to the back of this mall. Macerich is selling the mall. http://www.bizjournals.com/albany/blog/2013/12/rotterdam-square-mall-up-for-sale.html … If I had to guess I would say it will be razed except for Sears and Macy’s, but who knows? Maybe it’s not that bad yet. Does anyone have more information? Rotterdam square was bought by Kohan in January. It seems to be an independent investor with a bad track record. Looking at the new website almost 6 months later it seems nothing has changed. In fact the new website advertises their nearly 50% vacancy along the right side. And the website looks like it was designed in 1995. As for the mall itself I haven’t been there in a few years. I live about 20 minutes away but 5 minutes from both Colonie Center and Crossgates. Those should both be case studies on how to make malls successful. I hope Rotterdam Square takes notes and takes action. Sears is struggling but if they remodel like the others they may be ok. The theater is independently owned and probably not stadium seating and most certainly doomed. This Macy’s is much smaller than the ones in Colonie and Crossgates. And this Kmart is one of the only remaining in the area. If an anchor goes, all of the stores in that wing will go and that would be the end of this mall. More bad news. Several chains are going out, and today the interior had no business due to an unpaid electric bill. Hallmark and Things Remembered are leaving this month but the new owners are putting in a “Fun Zone” and aquarium. It also looks like a Zumba studio is getting put where Zumiez was. Hopefully that can revitalize the mall but I worry it’s only delaying the inevitable. It is unreasonably sad for me to see Rotterdam Square dying as it has been such a big part of my life. The Fun Zone is going where TJ Maxx was, and before that a store that sold big cookies. Don’t remember the name of it but I miss it desperately.